Fort Bidwell was establised in 1864 to help protect settlers in Suprise Valley. It was supplied by Fort Crook, established in the 1850s, in the Fall River Valley over 100 miles to the west. The first supply road was the Laseen Emigrant Trail established in 1848. in 1867, the military constructed an engineered "Military Road" to facilitate delivery of supplies via an easier route. 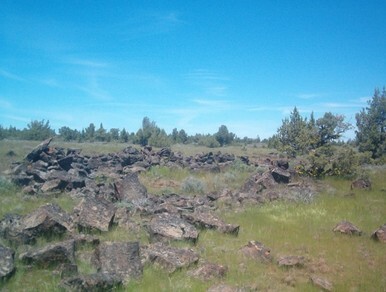 This route was subsequently utilized by settlers who abandoned portions of the rougher Lassen Trail. The road was plotted on the General Land Office Survey plats in the early 1870s and was used up to the very early 1900s. Forest Service roads replaced the military road. This project is designed to relocate and record the original 1867 alignment of the military road using old air photographs, LIDAR images and metal detectors. So, join us for a unique hike into the "Devil's Garden," and into California's historic past!